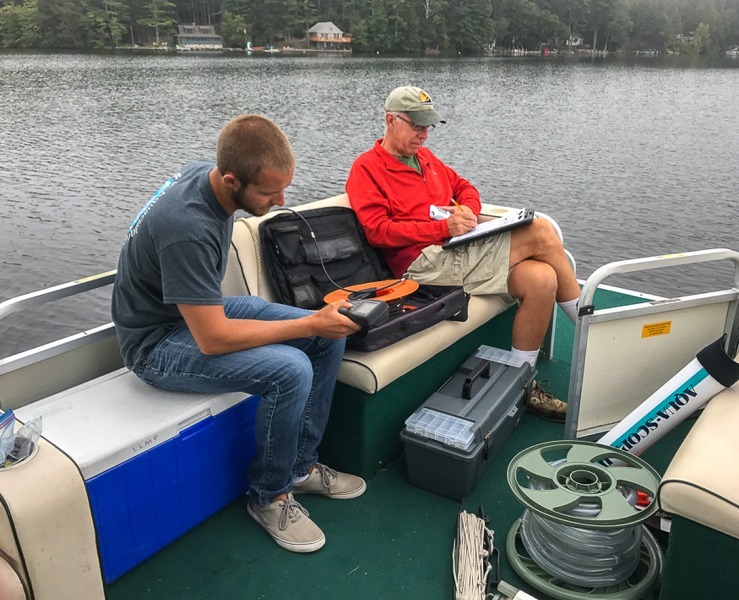 AWWA coordinates or facilitates water quality monitoring following the protocols of either the UNH Lakes Lay Monitoring Program (LLMP) or the NHDES Volunteer River Assessment Program (VRAP). 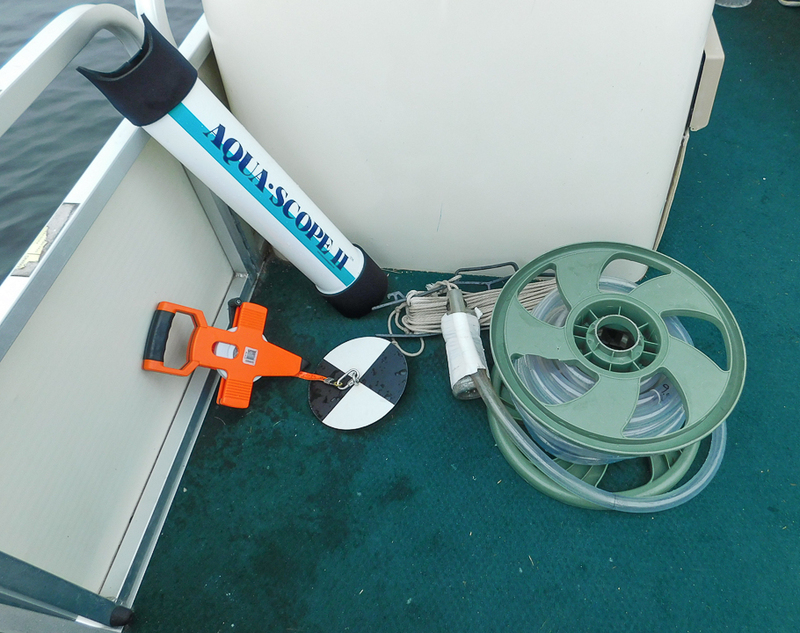 AWWA was able to purchase the scientific equipment necessary to gather data with support from a 2015 Norcross Wildlife Foundation grant. The LLMP is administered jointly through the UNH Cooperative Extension Natural Resources Program Team and the Center for Freshwater Biology at the University of New Hampshire. With participation from many dedicated citizen scientist volunteers, the LLMP provides valuable data on our lakes. 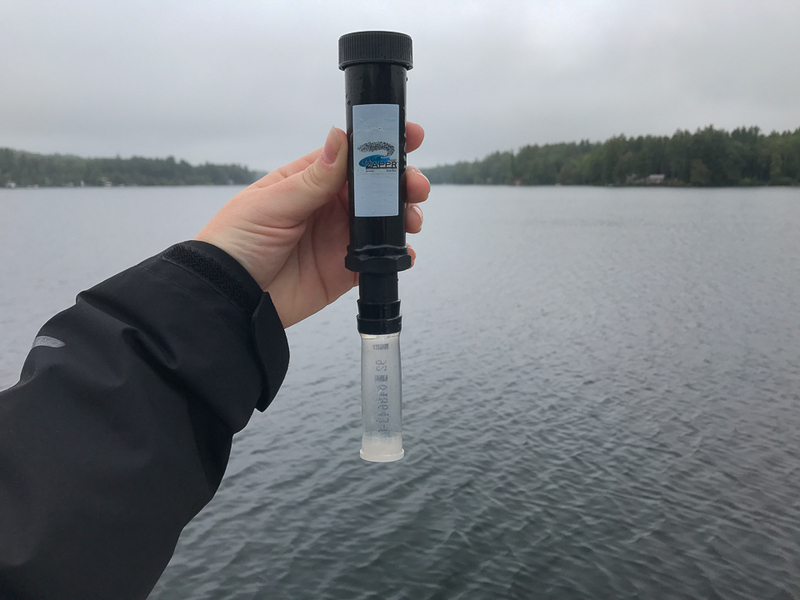 The collected data is analyzed by scientists and UNH, and the results are published in digestible reports used by lake associations, town officials, and curious individuals to understand the trending characteristics of the lakes. This data is essential to our understanding of what is happening scientifically and what actions we need to take to protect our water quality. VRAP aims to educate people about river and stream water quality and ecology and to improve water quality monitoring coverage for the protection of water resources. In 2014 AWWA’s first VRAP began sampling sites in two rivers leaving our region to increase the amount of river water quality information available to local, state and federal governments, which allows for better watershed planning. New river sites are being added as interest develops. 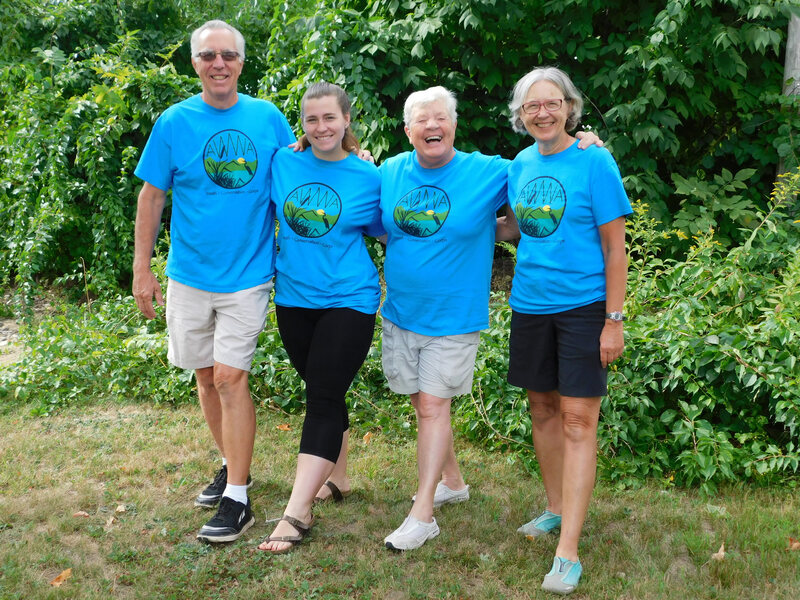 To volunteer for, or learn more about AWWA’s water quality monitoring opportunities, please email info@AWwatersheds.org or 603-473-2500. Over the past couple of years the EPA New England Regional Laboratory convened the Cyanobacteria Monitoring Collaborative consisting of state environmental water quality and beach monitoring programs, departments of public health, tribes, public water suppliers, non-governmental organizations (NGOs), citizen monitoring groups and academics to establish a uniform and consistent approach to monitoring cyanobacteria. Citizen scientists with all skills and background levels can partake in this program to varying degrees. Cyanobacteria are bacteria that photosynthesize. Many species grow in colonies and can form surface water “blooms.” The blue-green blooms consist of thousands of individual cells. 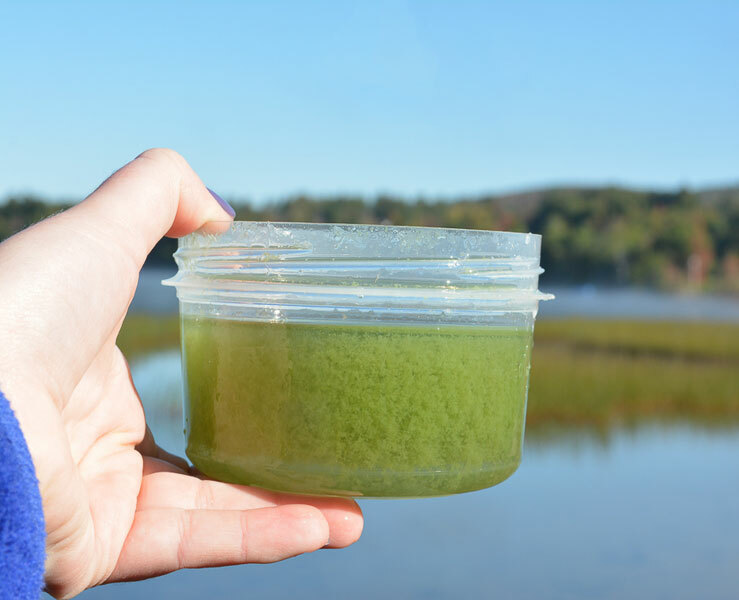 Formerly called “blue-green algae”, cyanobacteria blooms are still frequently referred to as “harmful algal blooms” or “HABs.” Under the right conditions, cyanobacteria can form “blooms” on the surface. These blooms can be a problem because many cyanobacteria produce toxins dangerous to humans and wildlife. 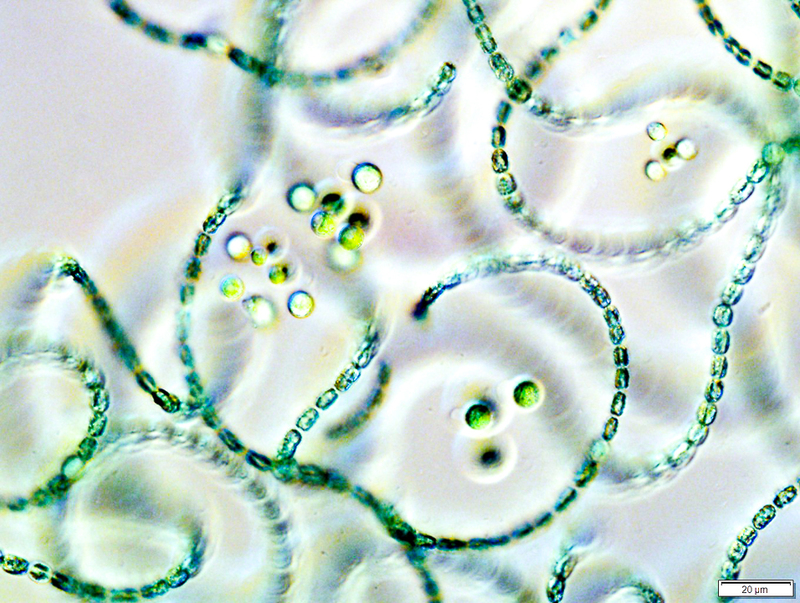 Cyanobacteria and their toxins can be found in water as well as in the air nearby. Cyanobacteria have been on earth for 3.5 billion years and are naturally occurring in all our lakes, generally in relatively low numbers. However, research has shown that when nutrient levels in the lakes increase so does cyanobacteria abundance. Some cyanobacteria are capable of producing liver and neuro toxins which can affect human health when in bloom. Studies are investigating the possible link between cyanobacteria blooms and ALS (Lou Gehrig’s disease). The neuro toxins have almost immediate effects when ingested. The liver toxins tend to act more slowly. Exposure to toxic cyanobacteria scums may cause various symptoms including nausea, vomiting, diarrhea, mild fever, skin rashes, eye and nose irritations, and general malaise. 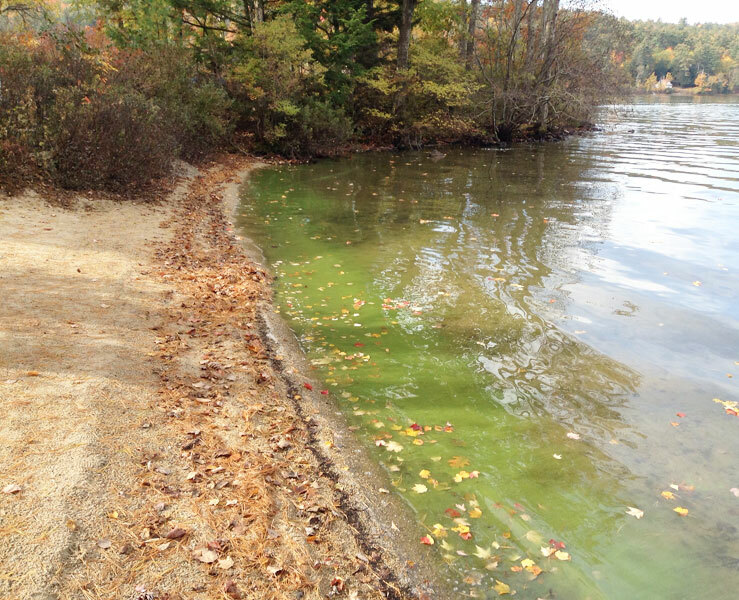 AWWA works diligently to prevent the conditions leading to cyanobacteria blooms and works with volunteers to monitor our lakes frequently in order to identify blooms should they occur. If a bloom is identified the NHDES will be notified and proper notifications will be posted. bloomWatch: Download the app on your smartphone or tablet, and take photos of any suspicious green clumps, flakes, or filaments floating in the water. 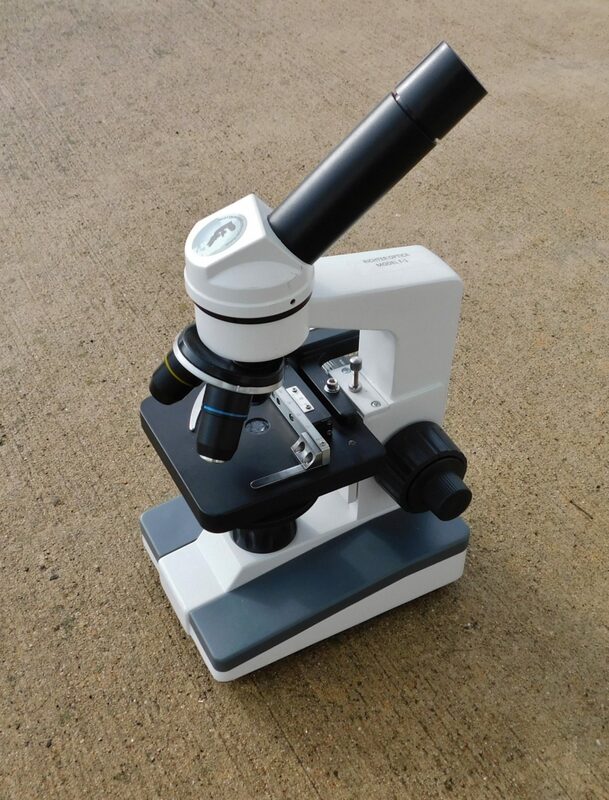 cyanoScope: Collect cyanobacteria with a tow net, view it under a microscope, take a photo, and upload it to iNaturalist. cyanoMonitoring: A long-term systematic approach to understanding how cyanobacteria respond to environmental conditions. 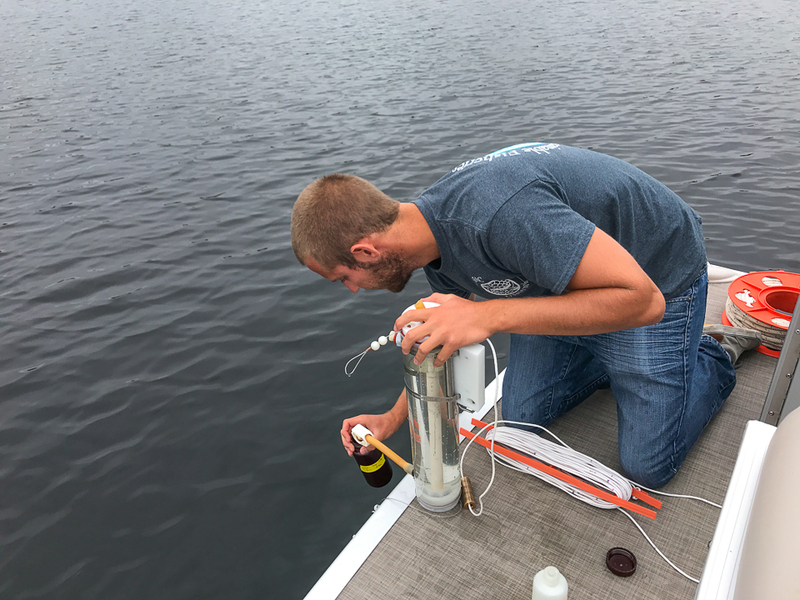 The goal is to measure the phycocyanin (cyanobacteria pigment) and chlorophyll (algae pigment) levels of the lake water using a handheld device. 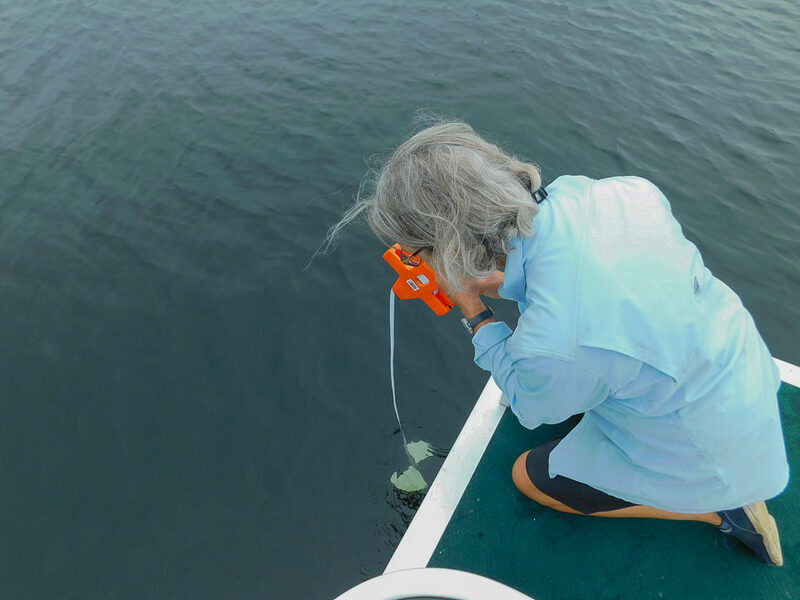 This ongoing data collection allows us to establish a record of cyanobacteria and algae levels, from which we can determine any patterns or changes. For more information, or to learn how to get involved, please visit http://cyanos.org/. For more information on the types of toxic cyanobacteria, please visit the “Dirty Dozen” Quick Guide. 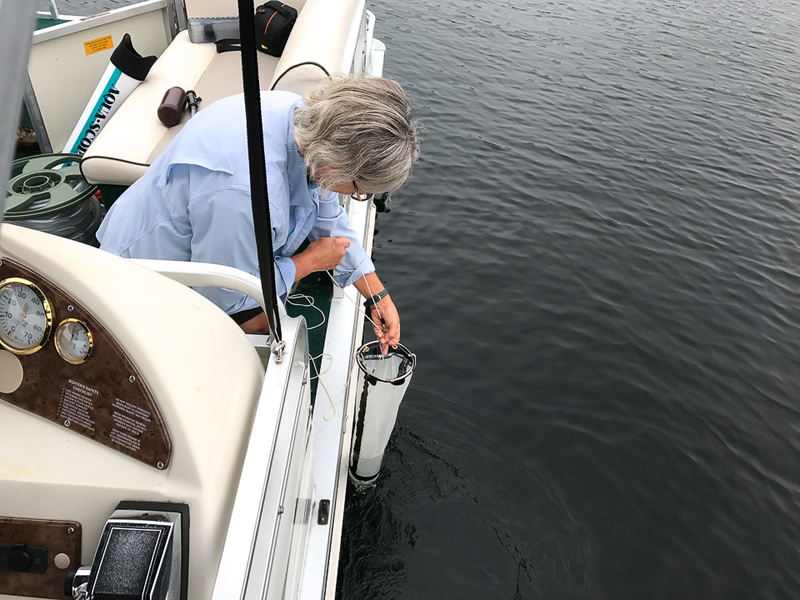 To volunteer for, or learn more about AWWA’s cyanobacteria monitoring opportunities, please send an email to info@AWwatersheds.org or 603-473-2500.